We all have heard about the “Leaning Tower of Pisa” in Italy but have you ever heard about the Asia’s first “Leaning Temple of Huma”? Yes, you heard it right ! 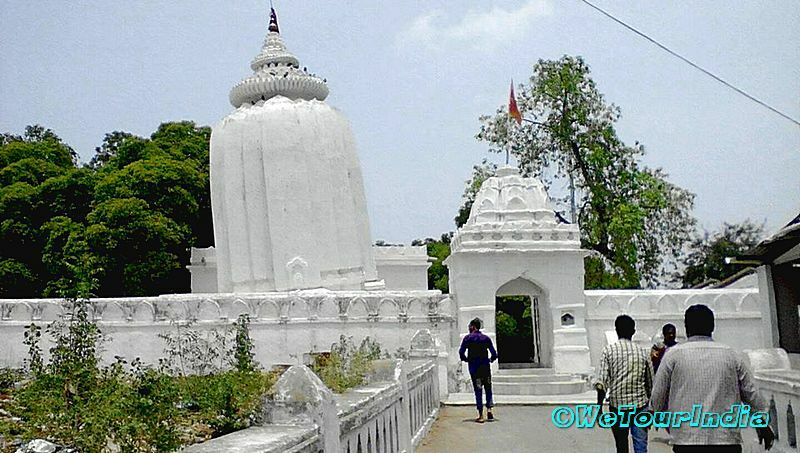 This fascinating temple is 23 Km away from Sambalpur in Huma village at the banks of River Mahanadi. 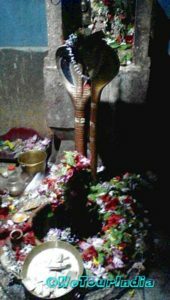 Temple is dedicated to Baba Bimleswar [Lord Shiva] and it was constructed by Raja Balaram Deb,1st king of Sambalpur. 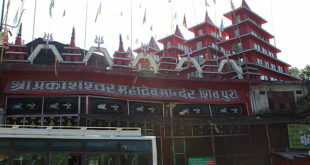 Huma temple is popularly known for its unique structure as the edifice of the temple is inclined [tilted] towards river side and the other temple in the same campus is tilted towards the opposite direction of the main temple. 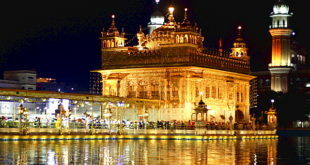 Its is quite mysterious as why the temple is leaning! 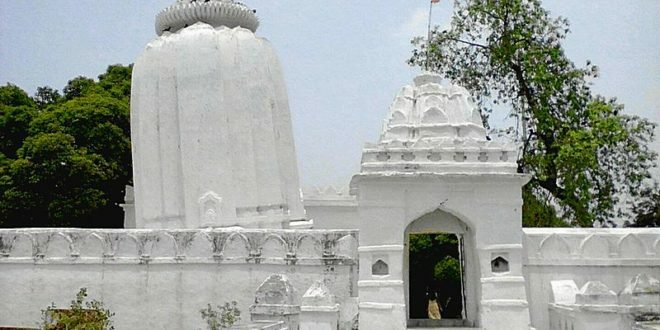 There are no facts which can prove it and nor it is a technical construction flaw as Odisha has innumerable temples built during Raja Balaram Deb’s era and he was known to build enormous temples! 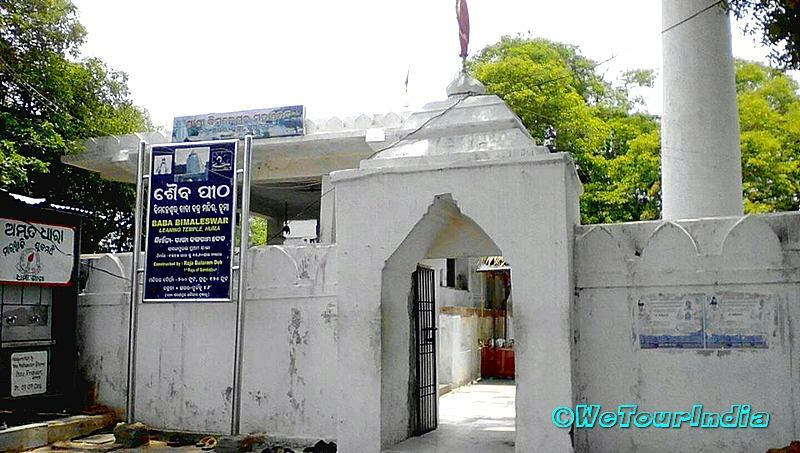 The legend behind the Huma Temple is also interesting! A milkman initiated to worship the rock [Idol]. He use to cross the River Mahanadi every day to a place on the river bank where he offered his dole of milk. Milk offered use to disappear, consumed by the rock(Idol).There is a another story which says there was a particular cow who used to offer her milk to the rock every day and it was miraculously consumed by the rock(Idol). These miraculous incidents paved way for the construction of the Huma Temple. 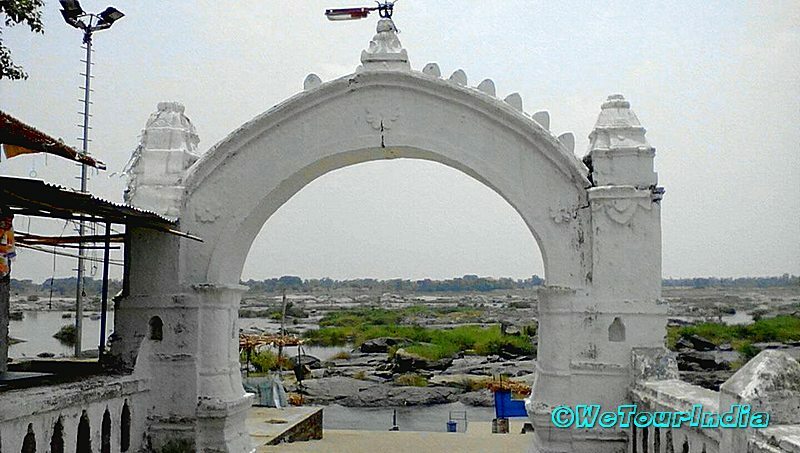 As the temple is on the banks of Mahanadi, one would find a reddish fish, popularly known as “Kudo Fish”. They are up to six feet long and are another attractions for the tourist. These fish are human friendly and they enjoy being fed directly by human’s hand! Kids enjoy feeding the fish. Feeding Kudo fish is considered sacred. Some kind of laddos are specially made for these fish by the locals. Local people say killing or eating these fish is forbidden and the one who does will not survive too long and pay the price. 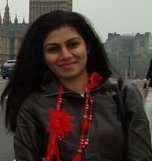 Being the Temple of Lord Shiva there is an annual fair [Mela] every year during the Maha Shivratri. 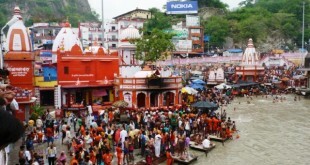 This mela takes place at the foothill of the Huma Temple. This fair attracts huge crowd including the foreign tourist. 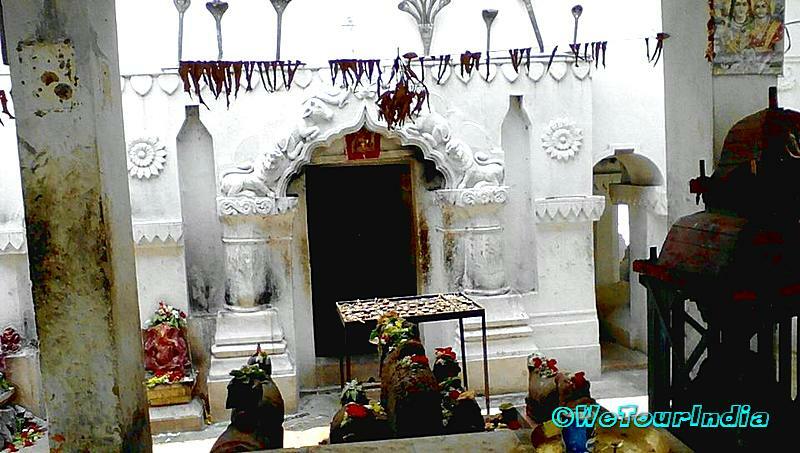 Apart from this fascinating mystery of temple there is fun part too. 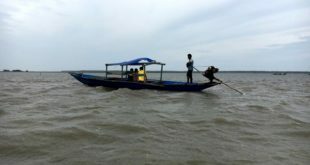 One can enjoy boating in the River Mahanadi near Temple. Carry your camera to capture the mesmerizing sunset and the nature beauty. 1.Nearest Railway station : Sambalpur Railway Station. 2.By Air: Nearest Airport is Biju Patnaik Airport of Bhubaneswar (290 Km Away]Local taxis are available from Sambalpur.